Since we’re all honest here, I’ll try to say this with as much kindness as possible. I really didn’t like Bali. I know, I hate to destroy your dreams of a perfect beachy get away. 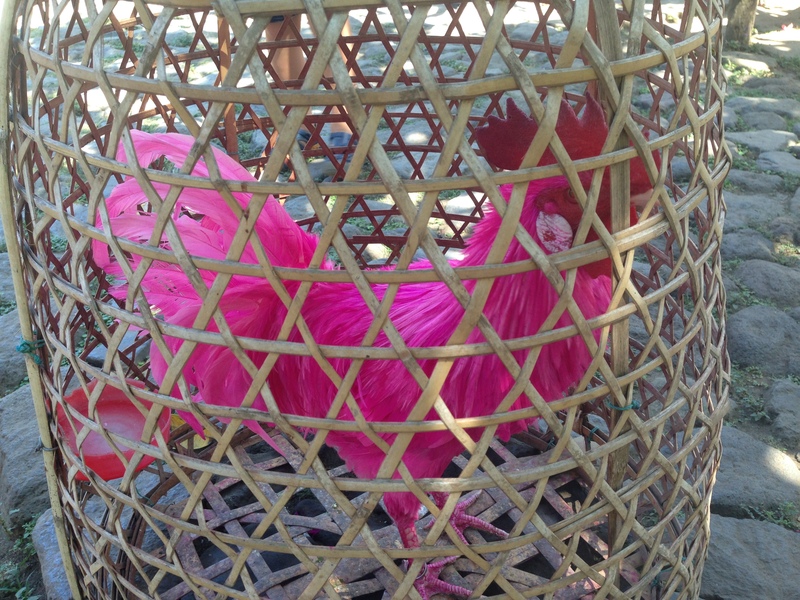 But really guys, Bali’s not all it’s cracked up to be. The best thing we found there was our rental! We had a three bedroom house with a private pool. It was absolutely perfect! 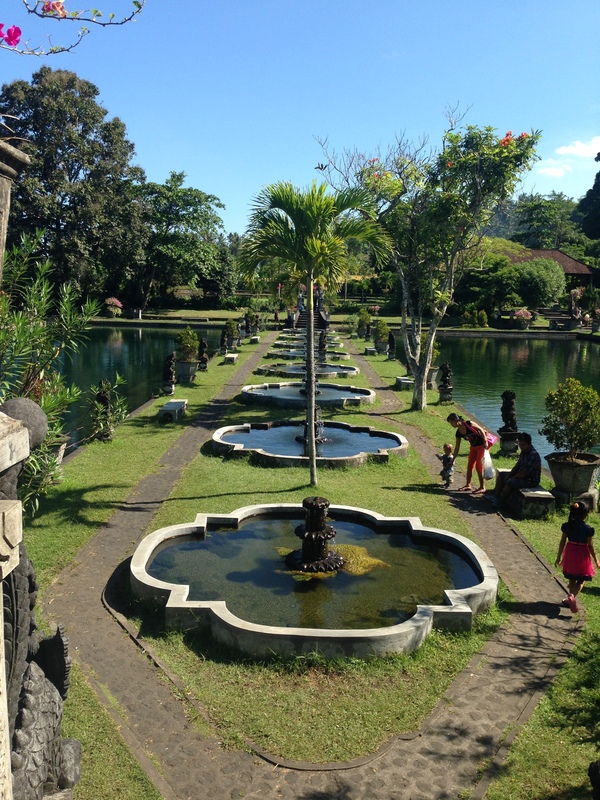 Another thing we saw was Tirta Gangga water palace. 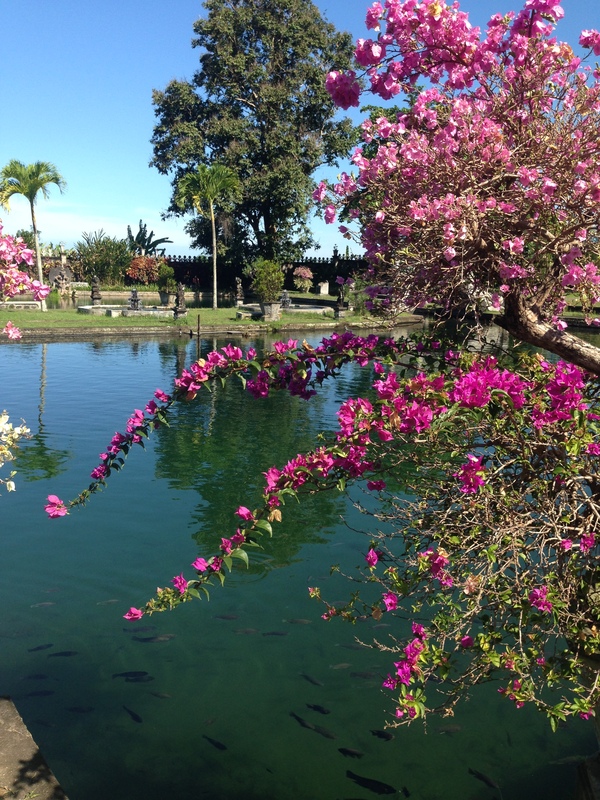 It’s a garden full of ponds and statues and was a fun way to spend an hour. 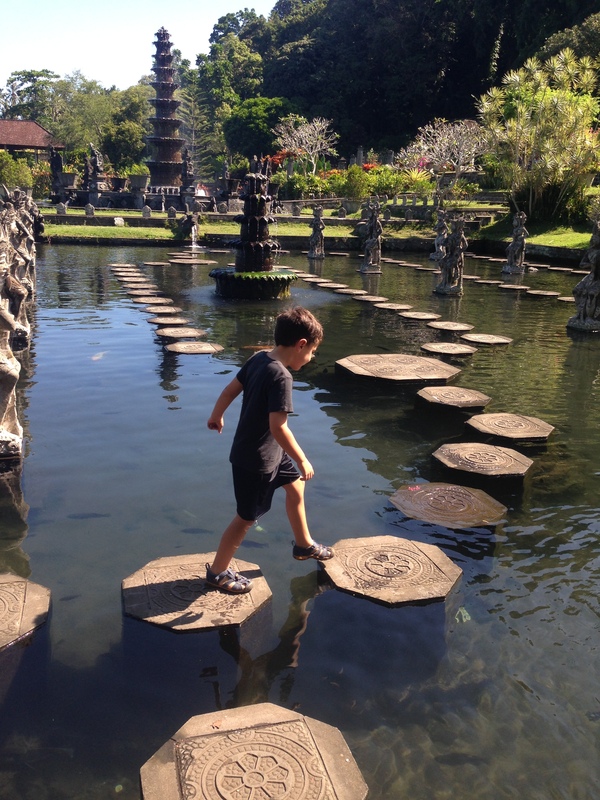 The kids enjoyed hopping from stone to stone! 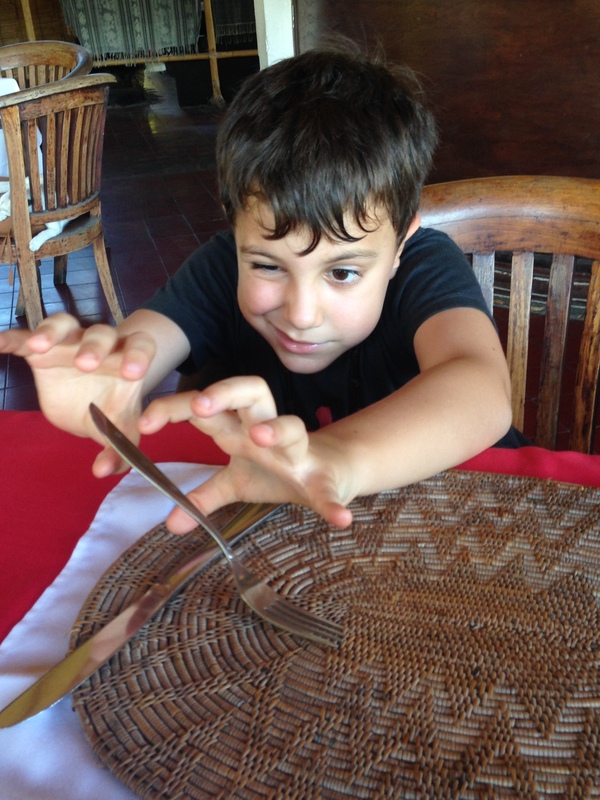 We also enjoyed the antics of a 6 year old while waiting on dinner! On one of our day trips out, we came across a village ceremony called Pengerebongan that had blocked the street and we were forced to wait until it was over. Our driver explained that it was a ritual where a chosen man would stab himself with a ceremonial knife in order to gain protection for the village. You can read about it here, it’s a short article that sums it all up. We chose to NOT get out and watch. 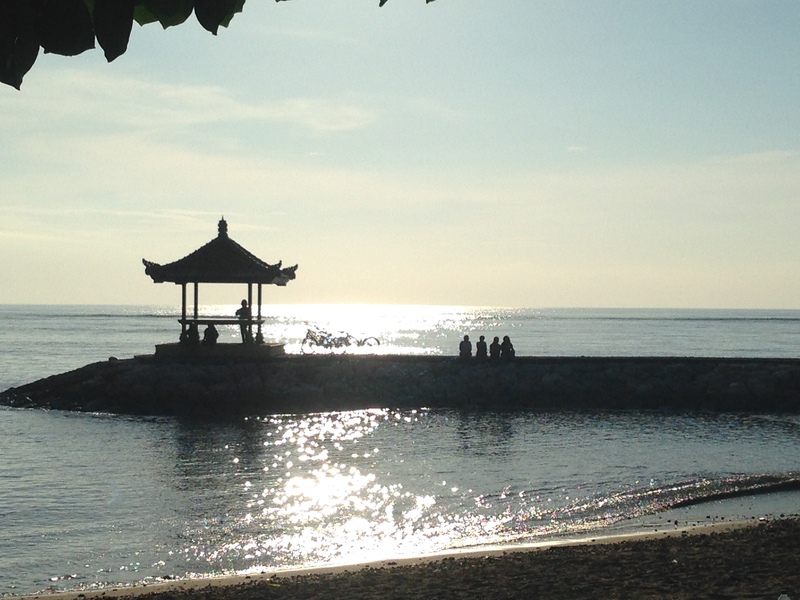 But it just goes to show how very different we are from the Balinese even though Bali is a very first world city.